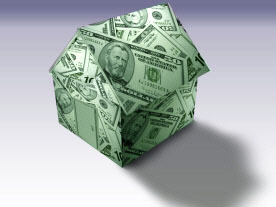 County governments determine your real property tax burden based on an ad valorem assessment of the property's value. It is required by NC State Law for all real property to be reappraised every 8 years; the last time was this was completed in Mecklenburg County was in 2011. In January 2019, Mecklenburg County NC is completing its revaluation of all real property in the county to determine current market values for every parcel. As a Mecklenburg County property owner, you may have already received an unwanted surprise in the mail telling you your tax value has gone up, and now it may seem as though your assessment is too high. Unfortunately, matters like this can seldom be resolved with a phone call. However, Mecklenburg County provides a form included with the Notice of Revaluation for the property owner to complete and return to the Tax Assessor's office. Once it is received, the county Assessor's Office will contact the property owner with an "informal" decision and further instructions for the property owner. If you still feel as though your property was overvalued, a professional, independent appraisal is often your best bet in proving your case. That's where we can help! Hiring Home Analytics Appraisal to perform an independent valuation of your property is the best way to determine if your property was overvalued by the tax assessor's office. An appraisal completed on your behalf, performed under the standards of the Uniform Standards of Professional Appraisal Practice (USPAP), is powerful -- and defensible -- expert testimony of what a fair market value for your property should be. Please complete the brief form below to contact us to request a FREE quote for a Tax Assessment Appeal Appraisal for your property. Services rendered by Home Analytics do not constitute legal services. Home Analytics can not and will not act as an agent or representative of the property owner.2 Property owners who require legal representation or legal advice in matters relating to property rights, ownership, or any other legal matters pertaining to real property should retain a qualified attorney at law. Home Analytics provides real property appraisals, consulting, and research services. Tax Appeal Valuation reports and Reseach reports are for the use by a property owner or their duly authorized representative to appeal a valuation of their real property. Use of Home Analytics Appraisal services or appraisal products does NOT guarantee a reduction or adjustment of a property's tax valuation and fees for appraisal services are NOT contingent on an outcome that favors the client. No warranties are provided by Home Analytics as to the fitness of any valuation or research products for a property owner's use other than the Intended Use as stated within the report. 2Home Analytics can act as a qualified expert in Real Property Valuation for a property owner or their attorney for tax appeal hearings with prior arrangement. Complete the form below to receive more information on ordering on any of our Tax Valuation Appeal Services. Please include your full name (or the full name of the property owner, if you are a duly appointed representative) for the property address you are inquiring about. You will be contacted by an appraiser to discuss your particular situation as soon as possible. Thank you!